The chances of survival in the event of a shipwreck are at less than 24 hours, due to the current conditions of the Mediterranean. The 33 people rescued by NGO vessel Sea-Watch 3 on Saturday remains stranded at sea, with the ship being denied a safe port. The Sea-Watch 3 had left Malta in October after being held by authorities for four months. Authorities had stopped migrant rescue ships from entering or leaving ports early in the summer after investigations into rescue ship MV Lifeline had taken off. In a statement, the Sea-Watch 3 said it rescued “several children” from drowning. They are now receiving medical care on the boat. 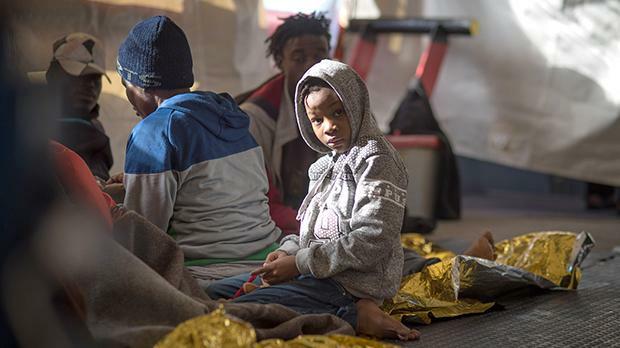 “To escape torture, slavery and death in Libya, these people have no choice but to take on the dangerous route across the central Mediterranean Sea at Christmas,” Philipp Hahn, head of operations of Sea-Watch 3, said. The migrants face a deadly route to reach Europe. “At these temperatures, the chance of survival in the event of a shipwreck is well under 24 hours and we are incredibly glad that we found them in time,” Mr Hahn said. The situation in the Mediterranean stands to get worse, Mr Hahn warned, as weather conditions are expected to worsen tomorrow. “To avoid risks for the rescued, we call on the German government to find a solution before Christmas,” Mr Hahn said. The rescue took place less than 24 hours after another rescue NGO, Open Arms, had taken in 311 people. Two-day-old baby Sami was rescued from the boat and brought in by the Armed Forces of Malta. The baby was being monitored in the special care unit and was in stable condition, sources told the Times of Malta. Along with the Moonbird and Colibri search aircrafts, the Spanish Open Arms and the German Sea-Eye 2, the Sea-Watch 3 is currently one of the only civil rescue ships on the Mediterranean.